Leeds Beckett University (LBU) is a higher education institution in the North of England that provides access to education for a wide range of learners, promoting cultural awareness and diversity through our curriculum. LBU leads the IMAGE project, building on the experience and resources built up from the EU-funded Autism&Uni project (www.autism-uni.org), also led by LBU. Autism&Uni focused on supporting autistic young people during their transition from secondary education into higher education, whilst IMAGE takes the next step and focuses on the transition out of university – into the world of work. LBU works hard to ensure that it is accessible to a wide range of students, promoting cultural awareness and diversity through our curriculum as far as possible. We positively welcome disabled students, including students with specific learning difficulties, mental health conditions and long-term health issues. Around 3,000 of our students have identified themselves as having a disability or impairment that affects their studies. 100 of these have declared an autism spectrum condition, although the real number of autistic students likely to be much higher due to a well-documented reluctance amongst students to disclose the condition. LBU has a tradition of supporting autistic students through a number of innovative schemes, the most recent one being a pilot with the National Autistic Society on making the application process and related documentation fully accessible to autistic students. We are committed to helping students get the most out of university life and have professional teams on hand to offer support and counselling. Our students are offered a comprehensive programme of events and development activities focused on employability and skill development. The IMAGE project also aligns well with LBU’s ‘Psychology Applied to Safety and Health’ stream, a university-wide cross-disciplinary group investigating workload, stress management and employee well-being. This project is led by Dr Marc Fabri. 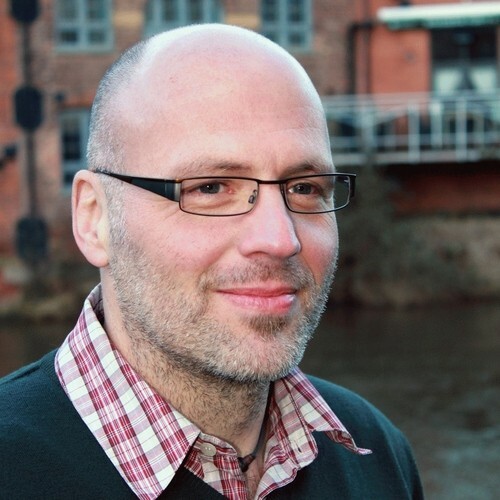 Marc leads the Technologies for Health and Wellbeing Research Group which brings together researchers from digital health, participatory design, computing and user experience design. Marc is a member of the UK National Autistic Society and advises the UK Government’s Student Loans Company on issues related to study support for autistic students. He was Principal Investigator for the Autism&Uni project, bringing in a wealth of expertise and contacts within HEIs and autism support organisations across Europe. He has published widely on barriers and enablers for autistic HE students, participatory design methods, and the technology preferences of autistic people. Marc is an editorial board member of the Int. Journal of Human Computer Interaction and of the Autism in Adulthood journal. He recently guest-edited a Special Issue on “Designing with and for users on the autism spectrum” (to be published in early 2019). Dr Harkry is an academic in the School of Social Sciences. She has over ten years of practical experience in understanding the barriers to employment faced by autistic adults. Previously based at the National Autistic Society, AS Mentoring and Auticon, she has worked closely with autistic adults to address confidence, anxiety and sensory issues in the workplace. She has advised major corporate organisations, such as GlaxoSmithKline and Virgin Money, on how to recruit and manage autistic employees. Lisa completed her doctoral research in autism and employment at Goldsmiths, University of London where she developed a thorough theoretical understanding of the complexities of mental health and cognition in autistic adults. Through this, Lisa was invited to become a member of the Autism Employment Alliance – a group of leading academics, universities, businesses and charities committed to improving the lives of autistic adults through employment. She has been interviewed for UK national BBC Radio 4 about autism in the workplace and she has also developed employee case studies for the BBC’s neurodiversity project. Dr Wyatt-Millington is an experienced academic and researcher in electronic engineering and is also the lead academic for employability in the School of Computing, Creative Technologies and Engineering. For over 15 years, Roz has spent time supporting students with autism diagnoses through both the process of getting a placement and also transition into employment after university. She has a keen interest in the particular issues facing autistic students as they leave the supportive environment of university for the wider world of work and in how they can be supported at this key point in their lives. Additionally, Roz has the lived experience of supporting her autistic brother through university and into work. He is now the global network manager for a local engineering company. Roz is also autistic. Claire heads up the Student and Graduate Futures Team at Leeds Beckett University and brings with her over 12 years experience in the employability arena, including supporting organisations with outplacement through to 1:1 individual coaching into employment. She recently delivered the ‘Autism into Employability’ project at LBU, working in partnership with autistic students, employers and specialist support organisations to ensure successful transition into work. Claire is an active member of AGCAS (UK Association of Graduate Careers Advisory Services) and AMOSSHE (UK Association of Managers of Student Services in Higher Education). In March 2018, Claire completed a Masters in Psychological Therapies where she investigated the development of resilience in HE students. As part of this research, Claire created and evaluated a bespoke intervention to increase students’ resilience skills, and she has presented on this topic at multiple conferences. Claire also brings in expertise in adult learning and development, and is fluent in designing online learning content. Her ambition is to raise knowledge and awareness in both employers and employability professionals around supporting students with autism. Kate is Head of Disability and School Support at Leeds Beckett University. She previously ran an innovative university collaboration with the National Autistic Society and co-organised a one-day Transition Pathways conference to coincide with World Autism Day 2016.